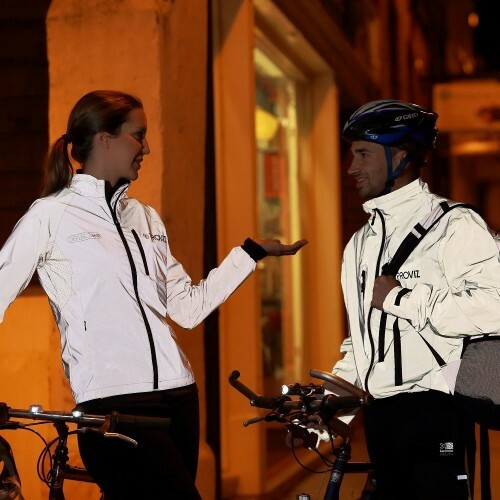 Must have jacket to safely cycle in the dark. Absolutely love this jacket. The technology is amazing, at night it ensures your seen from a fair distance and the reflection is so bright there's no chance you can be missed. Makes me feel very safe when cycling at night. 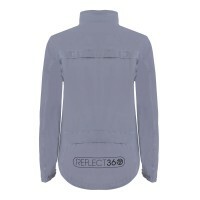 Amazingly you can't see it reflect when wearing the coat which means your not blinded or dazzled. 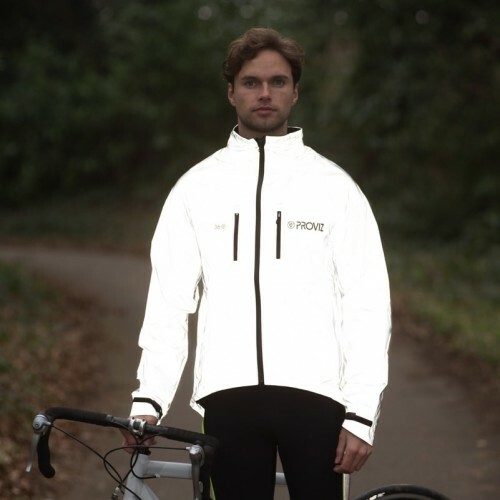 I would recommend this jacket to anyone who has to do any cycling in the dark. 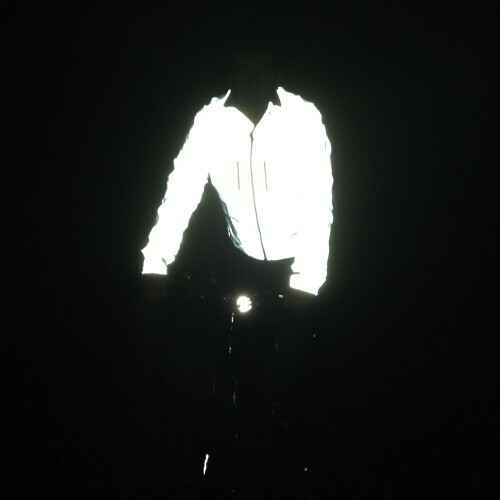 The jacket is even more visible than bike lights and can be seen from every angle. Top marks for keeping me safe on the road.. I purchase my first one of these around 4 years ago and it has done me proud until I came off my bike last week in the rain so I have just bought my second one. 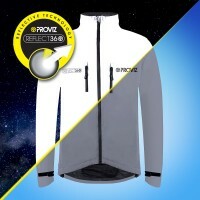 Top jacket, especially at night - Proviz do what they do.. make you be seen! Fantastik. I live in London and have used the jacket since january and i can tell i am easy seen as i get more space from cars. comfortable and warm. really great and super bright! Riding in Paris at night is dangerous. Returning home after work, I'm positively sure this jacket saved my life or, at least, prevented a hard shock with a car that stopped just before hitting me from the side. 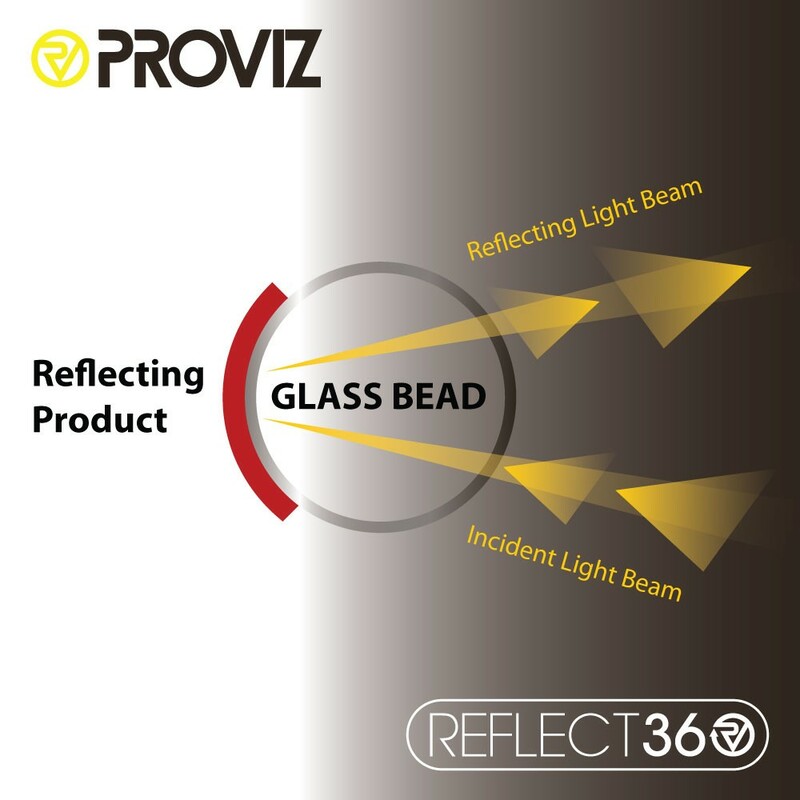 That's the key : side visibility, where your LEDs are invisible. 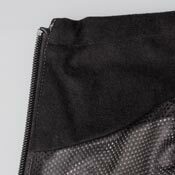 This jacket improves your security with a quantum leap. Thanks. I bought one of these for myself a few months ago and love it - so bright, good water resistance and I don't get too hot. I've seen Deliveroo riders wearing them and they are just so bright. I actually feel safe(r) wearing mine. 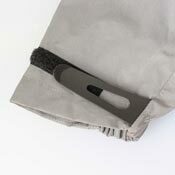 I wore mine in the torrential rain last night for my 15-min commute home and arrived dry. The jacket arrived the next day with free lights and free delivery, plus the customer service team answered my queries quickly and efficiently. I've just ordered a second one as a Christmas present as I'm so impressed. A quick hint: go via Top Cash Back as when I ordered, they were offering a whopping 13% cash back. 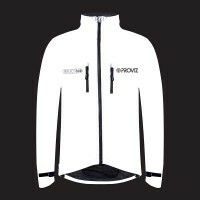 So a great jacket, lights, free delivery for just over £60 in the end - utter bargain. 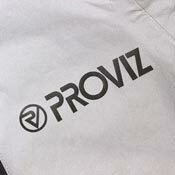 Good work Proviz. This jacket does what is says on the tin. It was highly reflective to the point where vehicles gave me a wide berth. Plus good against wind and rain. 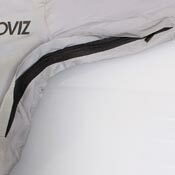 The ventilation zips were a invaluable too for cooling down. Fit was excellent and folded up to a small bundle. Worth the money! 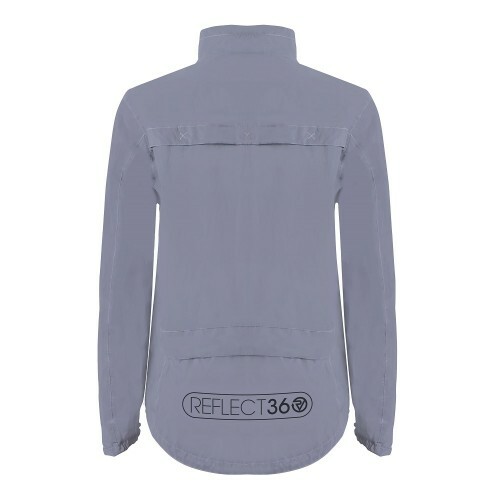 A very nice, well made jacket with excellent waterproofing and the most amazing reflectivity. Nothing better at night. Bought this Christmas 2015 for the wife and we both love it! As those who have one will know it is visible 1/4 of a mile away. It has two major benefits 1. It is highly reflective and 2. it causes mayhem with the drivers - they all seem to slow down to see "what on earth!!!" especially because she likes to wear it zip down - which makes it sort of round (like a sign!). it also gives me a target on the days she is on the road before me! Good Gear! have to recommend! The night visibility of this jacket is very impressive and it now retails at a good price. The downside is that it offers poor breathability, so that even on relatively short rides it can become very hot and trap a lot of sweat inside. The new 360+ is a far better option, in my opinion, if you have a tendency to get warm, or to sweat, while cycling. 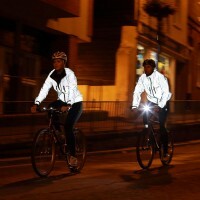 I saw these on a couple cyclists and thought they were ghosts. Great for Halloween! Seriously though, I love mine. 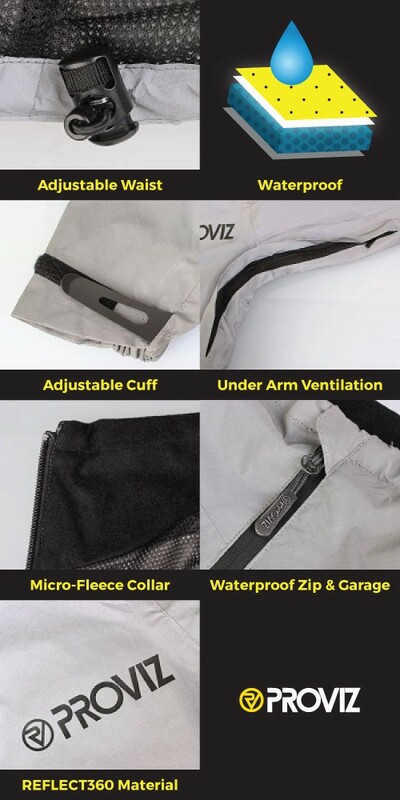 Comfort and safety in one jacket. Oh and it's cool! I bought one of these for my wife and I was so impressed that I bought another for myself. 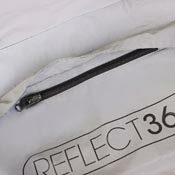 Not only is it very reflective but it is also an exceptionally good waterproof cycling jacket that is well made and thought through. 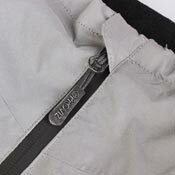 Been wearing one of these jackets over my motorbike jacket for several months. 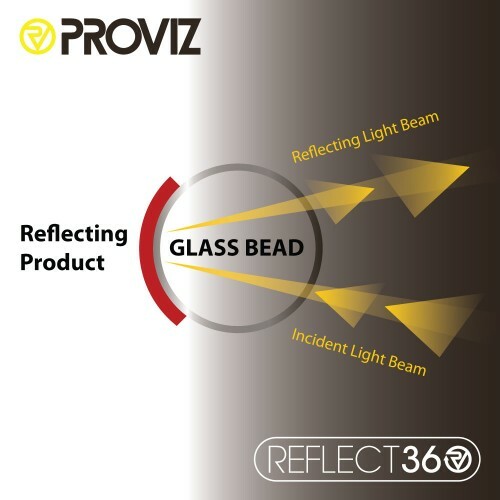 I have had my reflect360 for about 9 months now and I have been very impressed. It has been rained heavily on, snowed on and stood up to everything asked of it. Without doubt the best feature is its refelctiveness. It is so bright when light shined upon it that I will never purchase anything else...I have read an elite version is on route so I will be buying. Not normally one for reviewing stuff but felt I should for two main reasons. 1. Cannot praise Proviz enough for their 360 cycle jacket. Quality, comfort, value and above all, the brightest jacket ever. It has drawn many compliments from fellow cyclists at work and even scared the daylights out of my daughter when it was hanging in the hall, reflecting the small amount of ambient light from the living room and resembling a floating ghost!!! 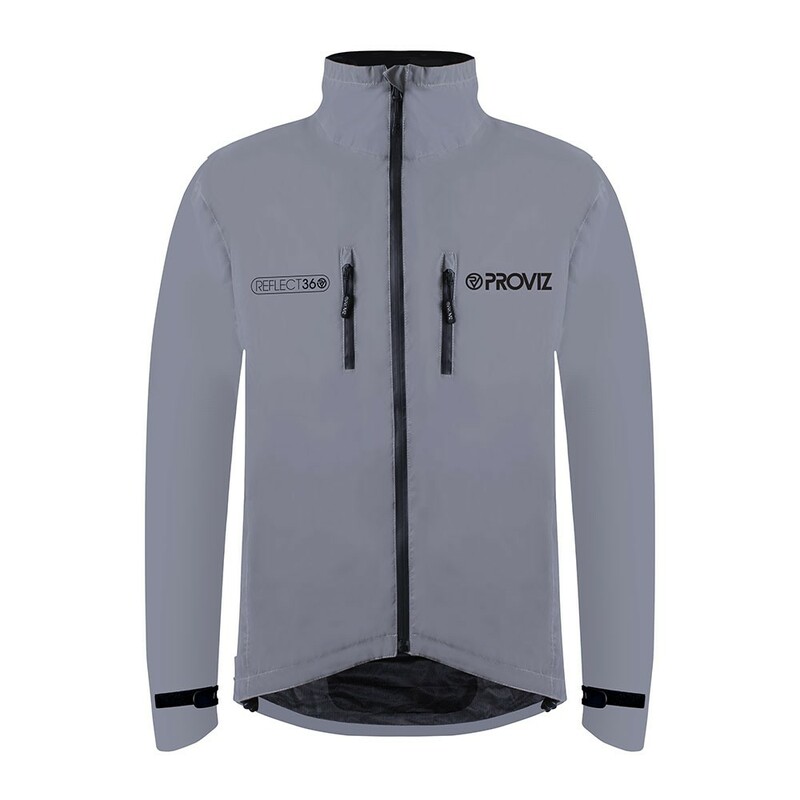 I was lucky to be given a Proviz 360 cycling jacket this Christmas and it's excellent. I cycle 25 miles a day to work and it makes a huge difference to me feeling safer on a bike as everyone can see me, drivers and pedestrians. It's also waterproof not just shower proof which also is a huge help. In the spring/summer I will probably switch to a gilet type as the weather warms up. The other thing is it's also good to wear when I'm not on the bike! You only have to look at any photos to see how much more visible they make you. 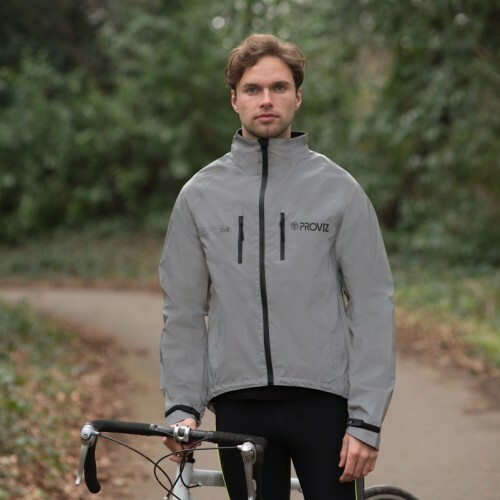 Perfect for a twisting country lanes, waterproof, nice and warm, and ideal for the rest of the commute into London on the train. I commute 15 miles a day ( each way ) and recently bought as noticed people don't stand out as much in the dark - well apparently I do now. Bit warm until it cooled down, now appreciate it being a bit warm...! Other cyclists make a point of commenting - great testament. Cycled in London for about 20 years and always seen the same yellow type jacket on the streets until this winter. 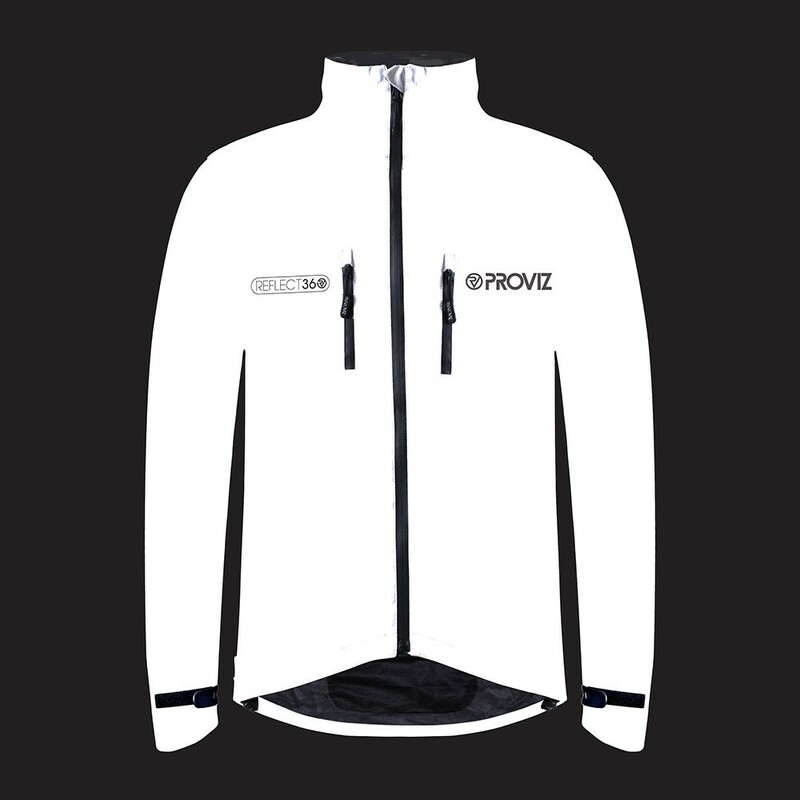 It is like a wave of these jackets has arrived on the streets. You can not fail to see these when they ar ein front of you at night they are so crazily bright. I had to get one as in my mind they are of huge benefit to my safety. Aside from the obvious hi viz aspect the jacket is well made and comfortable. I like th e added arm length for riding. So many jackets I have had in the past forget this. Free lights are a real bonus and function really well. Posted 12/11/2014 by Shining Star! I wanted to see for myself what this jacket is all about, it hasn't not failed, it is simply amazing, what a jacket. You are never going to wear this jacket off the bike! 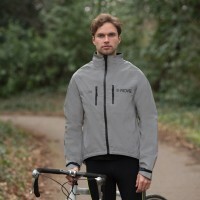 This isn't a roadie's jacket, but is an excellent commuting jacket. I've just ridden home in lots of rain (45min journey) and it is snug and has kept me warm and dry. My bottoms are soaked and my shoes didn't survive even with overshoes. It is absolutely perfect for October to March in the UK. 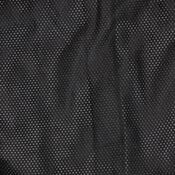 I think it is a little bulky for other months; and if you 'run hot' you might need to think about your base layer. After a month of use here are my thoughts.... When I received it I put it at the end of hte garden and shone my bike light at it and was amazed at how bright it was. ON the roads i have been getting so many comments from other cyclists here in Cambridge asking me where I got at as they could see me a mile out in front - it must work well then. Not only is this jacket very visible, very important, but is is very comfortable, warm and incredibly well built, It literally ticks every box and to get free delivery and a free set of bike lights, what more can a man want! 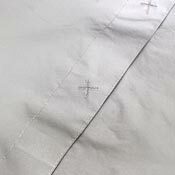 Adore my new jacket, impeccable service and the quality is simply superb, can't recommend enough. Really great purchase for my commute to downtown Melbourne which takes around 45 minutes. Only had it for a week and I've had countless comments from fellow cyclists - I should be on commission. I notice on your facebook page that more fellow aussies have purchased so it must by my work! 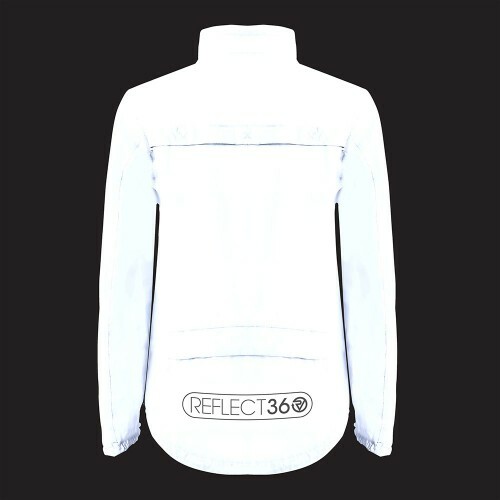 Great jacket for waterproofing, lot so fgood pockets, vents etc but the 'stand out' (excuse the pun) is the reflectivity - awesome just awesome. 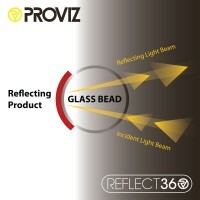 Great feature and I would highly recommend this for anyone cycling in the dark. All night cyclists should have one. 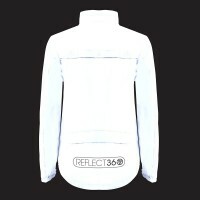 Recently took delivery of my reflect jacket and first impressions are of well made jaket. 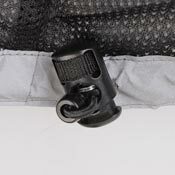 Nice added extras such as zip pulls, and zip guard to stop neck chafing. I bought this to help with my viz at night and there is no doubt this jacket improves the way I am seen. I even got the wife to take out so I could see how it works, it's just awesome. You light up brightly from many hundreds of metres away at night and I am now recommending this to all fellow cyclists on the roads. My wife bought be this jacket and i was a little sceptical it being 100% reflective, however it is simply a brilliant jacket. During the day it is a grey colour, actually really nice and subtle and then at night it shines up with any light and has made me feel a lot safer. 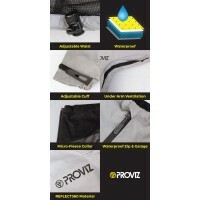 This is all for £79.99, i have to say Proviz, you have come up trumps with this one.